It's been a while hasn't it! Although, not that much has changed since my face last appeared on here. But perhaps the most one thing is my hair. I decided to go for the chop just before Christmas. It wasn't one of those 'New Year, new start' thangs. It really had to be done as my mop had become a right straggly mess. Bless my hair, it's been through a lot - it deserved some money spent on it! Anyway, onto zee clobber! 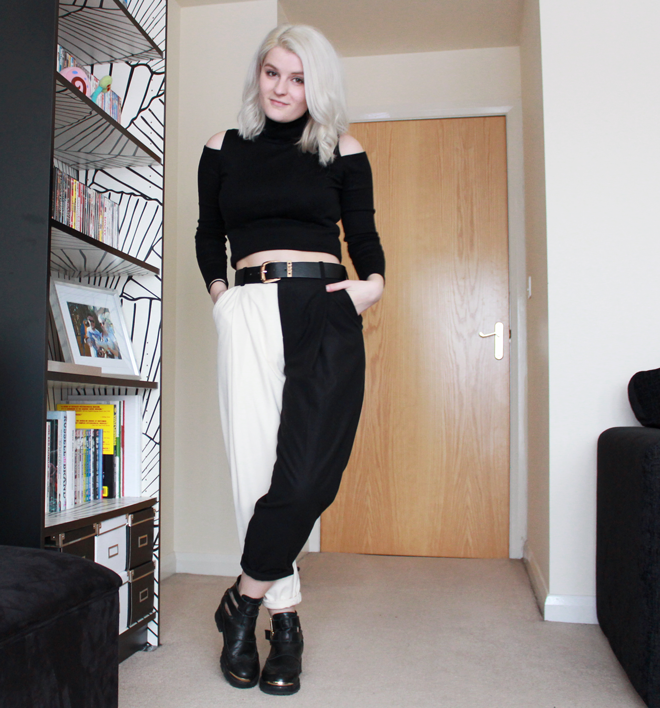 I honestly can't believe the quality of these trousers. I can be a bit cautious of new brands (especially overseas ones where returning things is an absolute bugger). But I can honestly say, these are probably the snazziest trews I own! They're lined (offt fancy!) and are a pretty thick wool-like fabric. They're also the perfect length for me (they're rolled up here a little, but de-rolled with heels they'd be perf too). Having oddly short legs, this is quite the miracle. At just £27.72 these are a mega bargain. 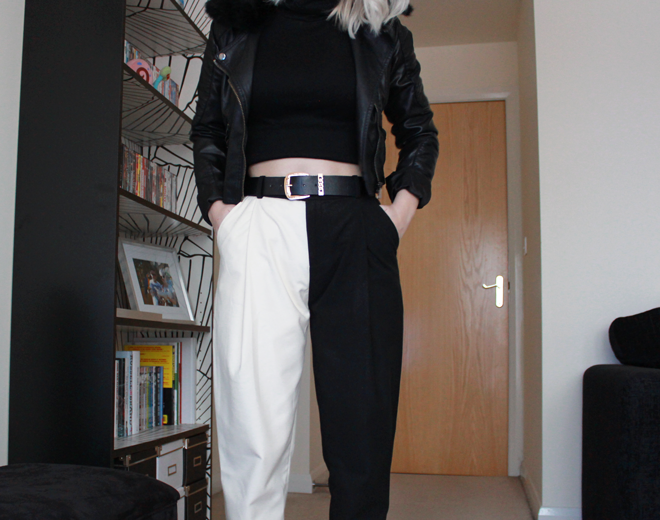 I love these trousers, I used to want a pair of tights that were half black half white but these are definitely a step up from those. Your new hair looks lovely as well, it really suits you! Oh my gosh those pants are awesome!! I love the new 'do'!! Thanks for putting that song in ny head hahaha. 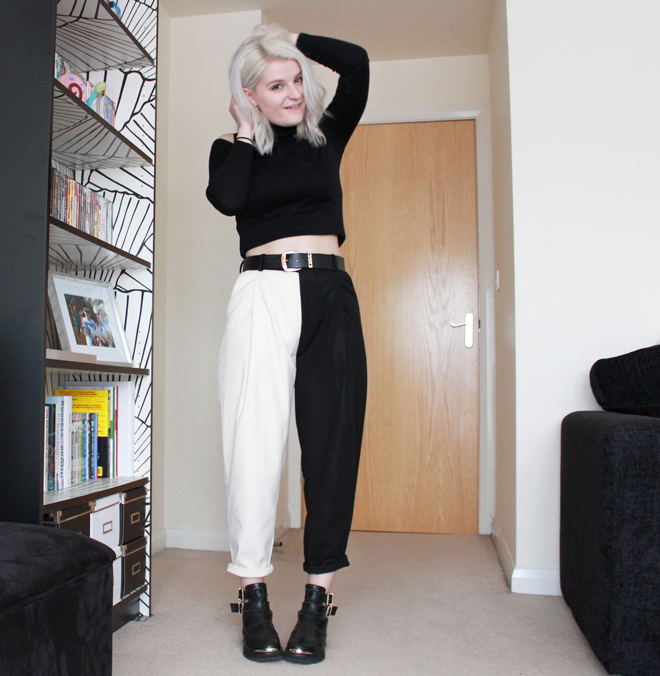 Love these trousers, the bolder the better! 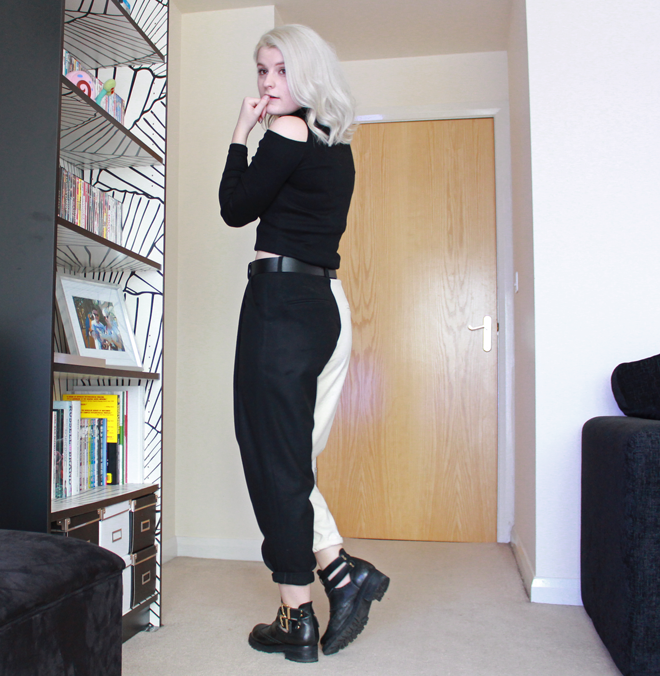 these pants are so fun and funky! You rock the hell out of them...i'm pretty sure if i tried to wear them I'd look so odd.